Courtesy of Keller Williams Honolulu. Custom home nestled in the hills of Kahakuloa. The expansive ocean views will take your breath away. Part of the gated Maliuhia Country Ranches community. This custom home has all the features you expect in a luxury estate including: stamped concrete and marble tile flooring, jacuzzi tub, walk-in shower, fireplaces, elevator, grand staircase, and wrap around enclosed lanai. Elegant extensive kitchen featuring: massive island, granite countertops, 8 burner Wolf gas range with commercial hood, walk-in pantry, and stainless steel appliances. 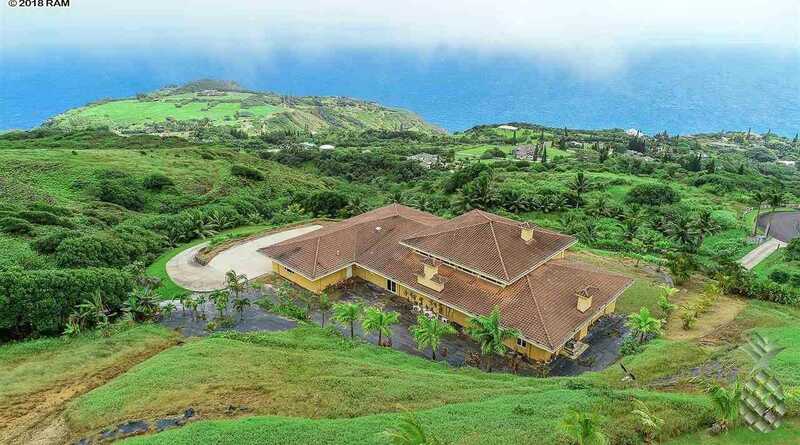 Over 5 acres of beautiful Maui rolling hillside ranch style living. View 3D interactive video tour in the virtual tour section. Please, send me more information on this property: MLS# 379822 – $4,875,000 – 54 Hulumanu Pl, Wailuku, HI 96793.